New Media Watch Group executive director Diane Qalobogidua. 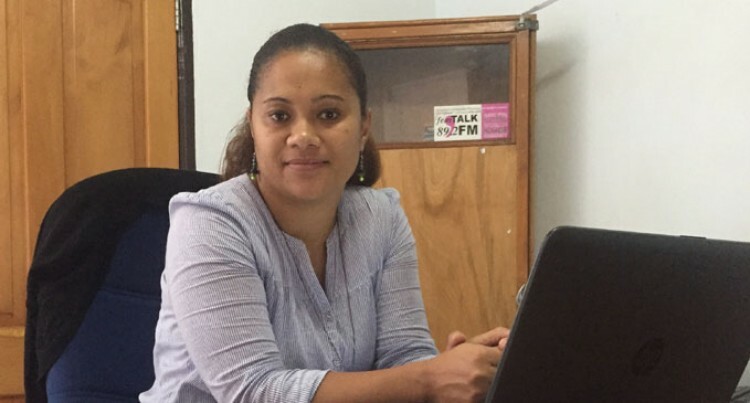 New executive director Diane Qalobogidua has a huge undertaking in taking Media Watch Group forward but without flinching believes the Civil Society Organisation needs to be made better known to the public. “I would like to see Media Watch Group known to the public, I would like every household to know who we are and what we are about,” said the 31-year-old Ono-i-Lau native. “I would like to see more advocacy on media education. Ms Qalobogidua was ecstatic and excited when the appointment was finalized over the phone to her from the group board president Lusiana Senibulu on September 6, 2018. She occupied the position of Executive Director yesterday, Monday, September 17 after about nine months of interim leadership by board members since January. What was the challenge in applying for the position of Executive Director of Media Watch Group? I wanted to give it a go, try something new in the non-governmental organization (NGO) field. I am excited to try out a new venture. I was the director of sales and marketing of Seeds Production and Logistics, an events management company. How did you receive the news of your appointment? I was overjoyed, excited and eager to start. I received a call from the president of the MWG board Mrs Senibulu who informed me that I had been selected to be the new ED. It was a big opportunity with my age, taken into consideration. I had the support of my whole family. My husband, Sanaila, and three children; eight-year-old Ethan; six-year-old Ezmeralda and 10-month old Sanaila (Junior). How do you feel on your first day with working with Media Watch Group? First time, it’s different; after working a fast paced work place. How long do you plan to work at MWG? I plan to work here for quite a while, preferably long term. What is your attitude to work? I believe in honest hard work, always improving and furthering my studies. What is the biggest impact you would like to leave at MWG? I would like to see MWG known to the public, I would like every household to know who we are and what we are about. I would like to see more advocacy on media education. But first and foremost is working to see MWG out there. What are thoughts on the three areas of MWG in programmes, finance and communications? We’re not in the public eye, no presence locally and regional. We need to go back to the basics; we need a signage in the front of the office which clearly shows to the public that MWG is here. There are a lot of opportunities of helping our young minds with media education. Some activity going on but there is room for more improvement.